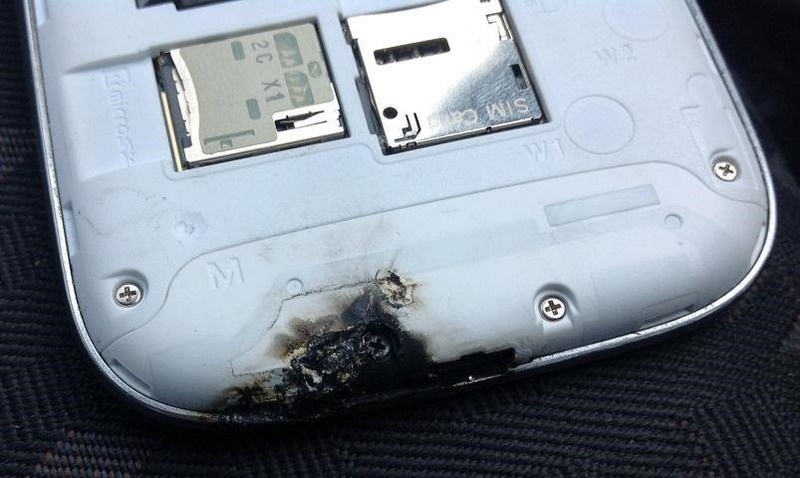 The new Samsung Galaxy S4 may be the only phone to include temperature and humidity sensors, but your Galaxy Note 2 has a few weather-detecting features of its own. Firstly, it has a barometer, which measure atmospheric pressure that can help alert you to a possible nearby rainstorm before a slowly updated weather app can. Secondly, there's the thermometer. With the proper algorithm, the internal reading could be used to approximate the ambient temperature around you. And that's exactly what the new app WeatherSignal does. 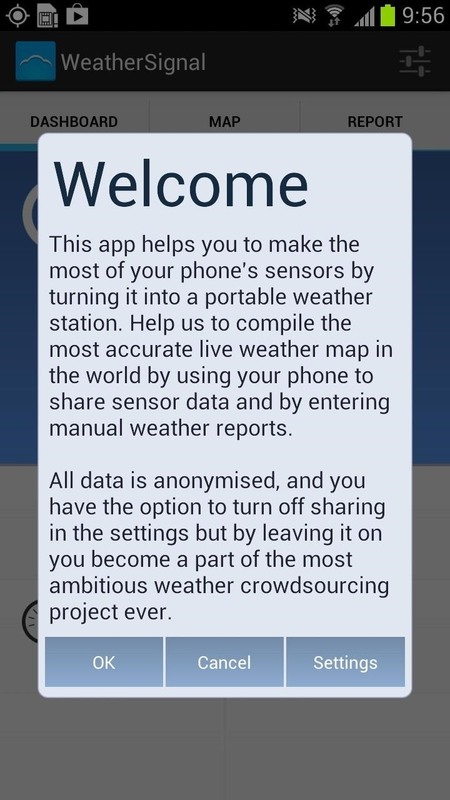 Developed by OpenSignal, who's already mastered the art of crowdsourcing with their OpenSignal app for finding Wi-Fi hotspots, WeatherSignal uses your smartphone's sensors to crowdsource local weather forecasts. 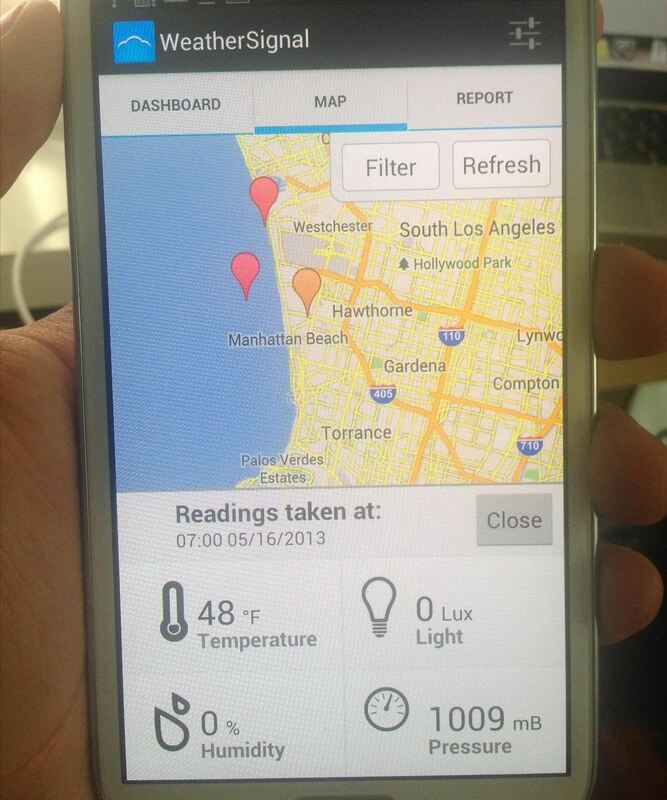 This is different than A-Minor's Weather Station app, which was developed specifically for individual use on the GS4. 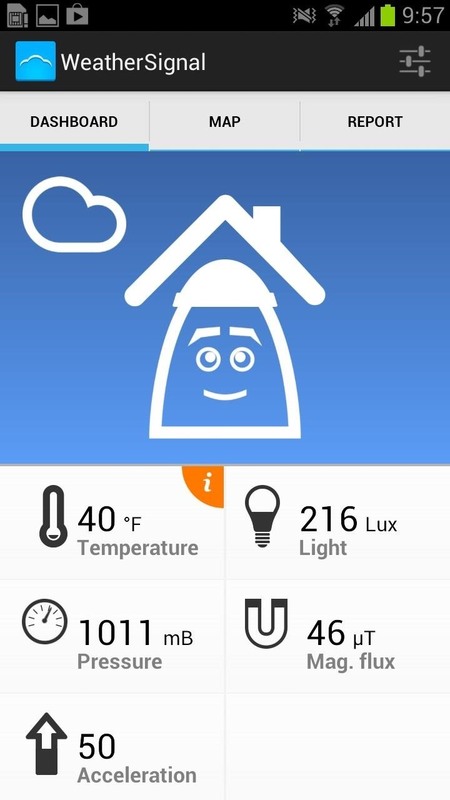 WeatherSignal was also designed with the GS4 in mind, to take full advantage of its barometer, thermometer, and hygrometer, but it will also work with other devices like the Samsung Galaxy S3 and our Note 2s (only we can't help contribute to humidity readings). 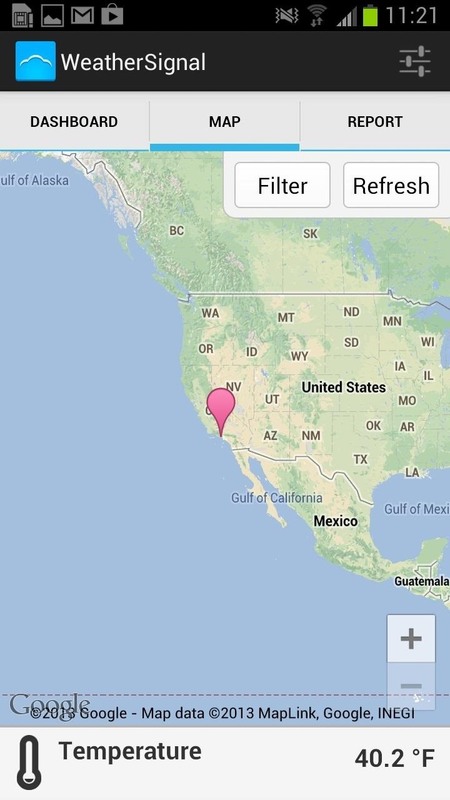 WeatherSignal uses everybody's local readings to piece together a comprehensive live weather map. Only the GS4 will provide somewhat accurate ambient temperature readings (internal temperature will affect the ambient reading), but everyone else can pitch in too. 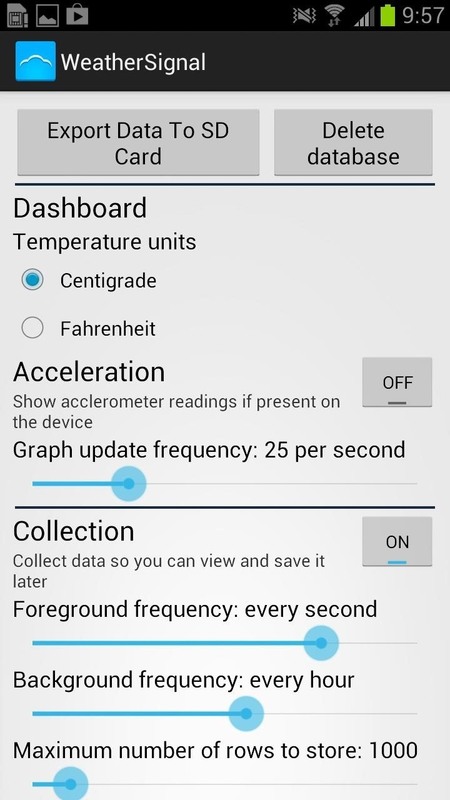 OpenSignal's algorithm will convert the internal temperatures of our other smartphones into external temperature data. With appropriate averaging and filtering, these readings have proven to be pretty accurate compared to meteorologist data. Widgets for temperature, magnetic, light, humidity, and pressure. Saves data to SD card. Map of readings of other users and of your own, see averages within each map window, click on icons to see full readout. Since this app is still in beta mode, not all of the readings are going to be 100% accurate. Certain habits, such as having your device in your pocket for too long or quick movement may affect the readings. OpenSignal is working on making the app more accurate and efficient for its regular release. And just in case you're wondering, other devices that contain a barometer include the Samsung Galaxy Nexus, Galaxy S3, Galaxy Note, Nexus 10, LG Nexus 4, Motorla XOOM, RAZR MAXX HD, and Xiaomi MI-2.